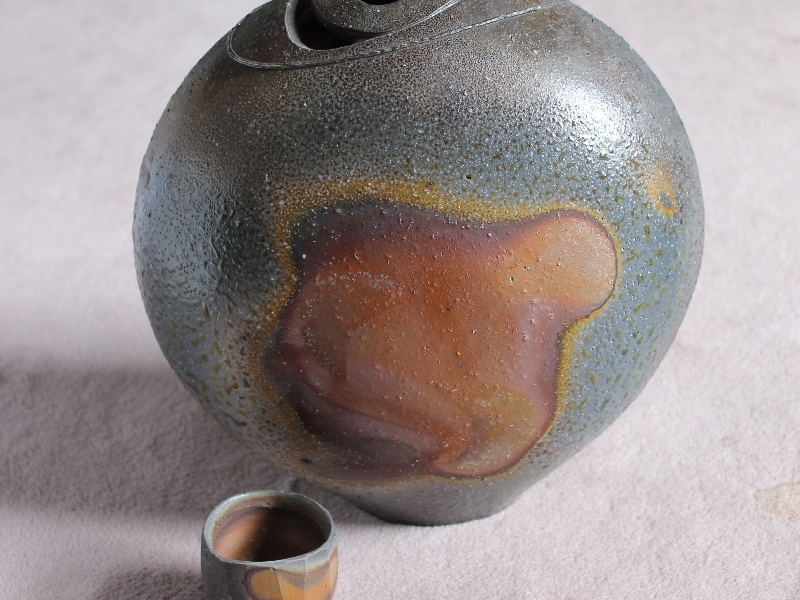 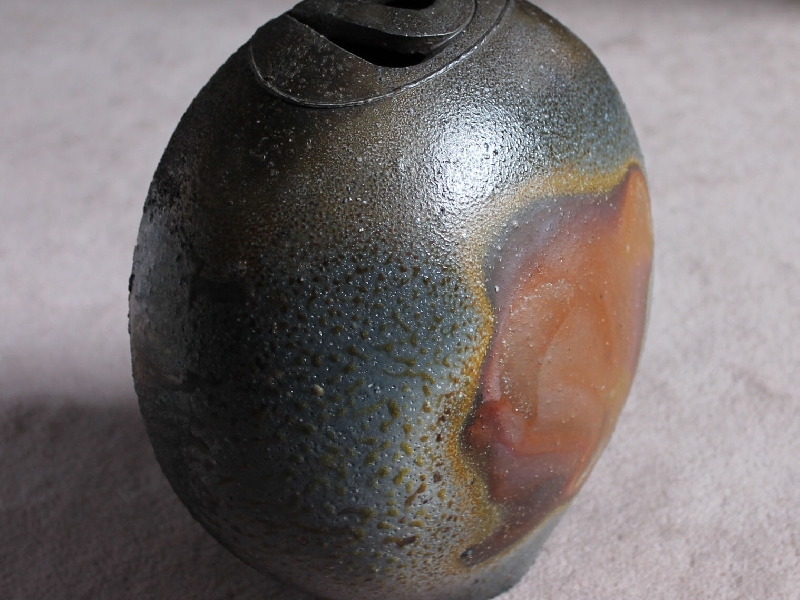 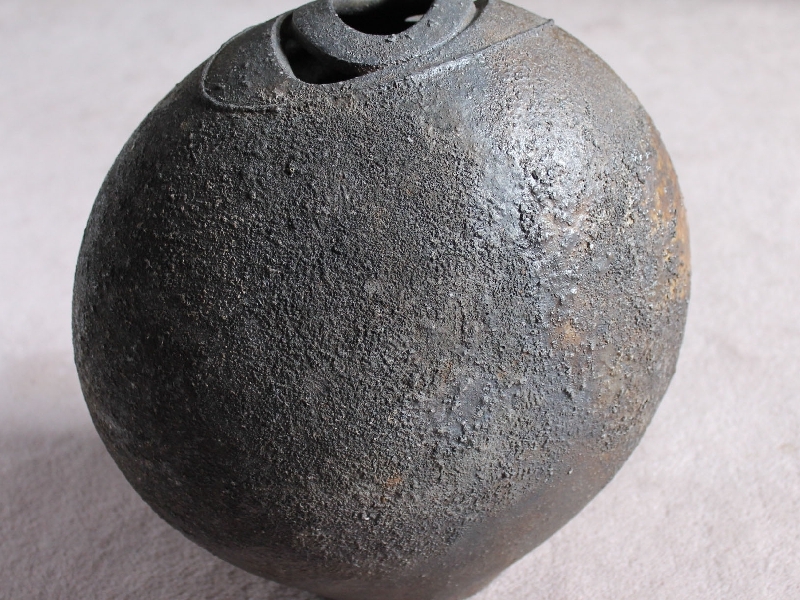 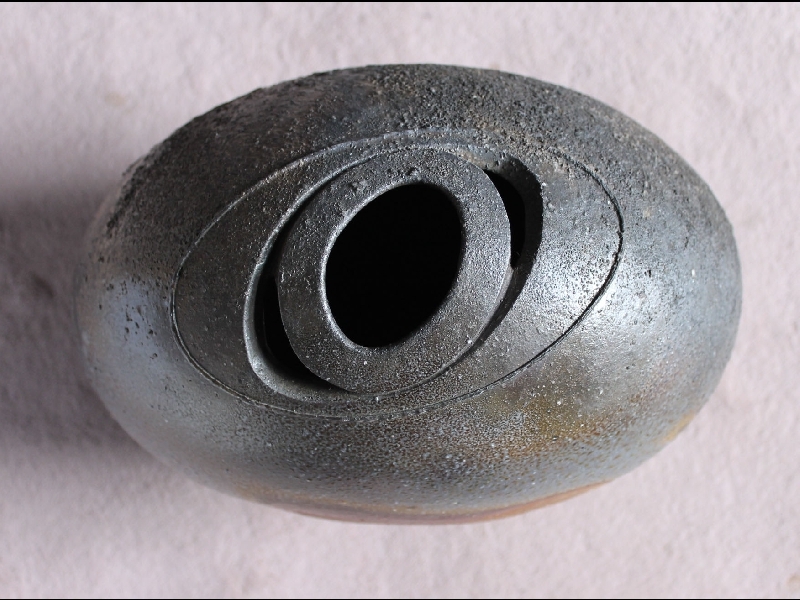 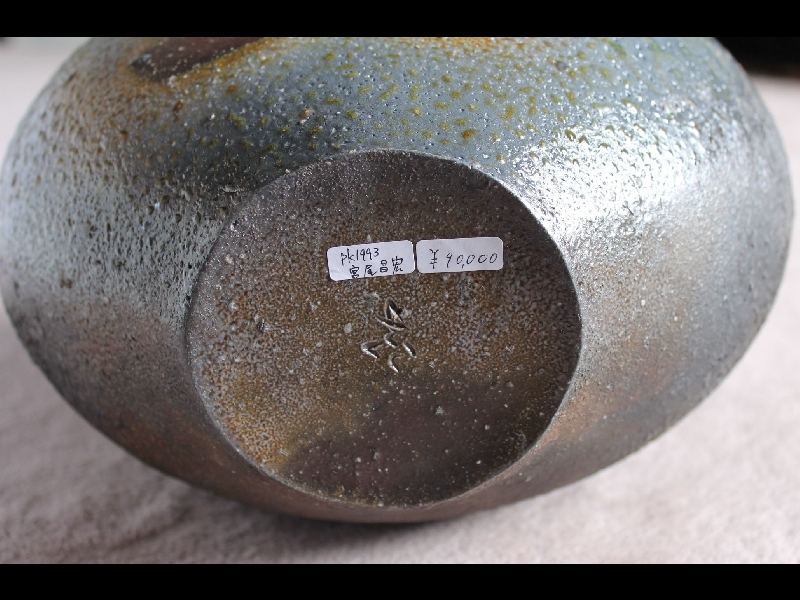 Miyao Masahiro(b.1970)is a Bizen artist to certainly keep an eye on. His awards have been piling up and that included a major award last at the 53rd annual Japanese Traditional Arts and Crafts Exhibition. 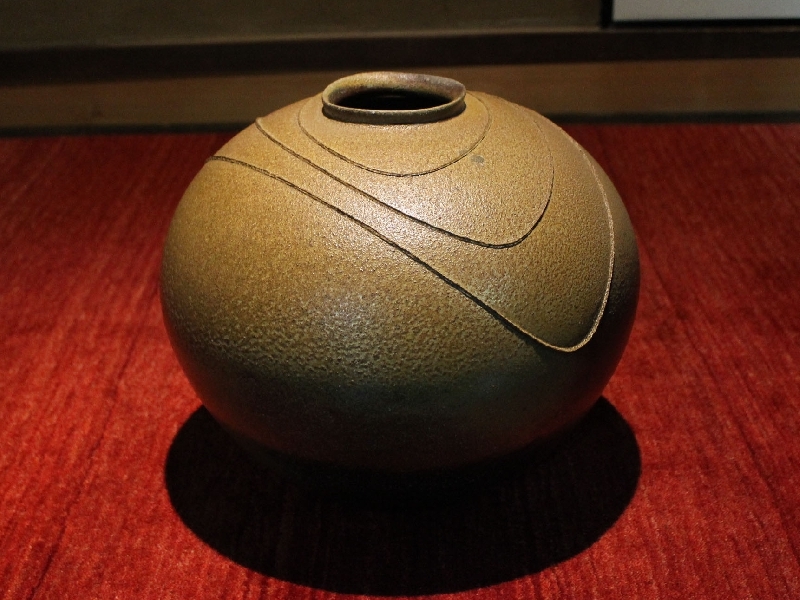 The award was Nihon Kogei Kai Kai-cho Award selected by the chairman of the Japanese Traditional Arts and Crafts association. 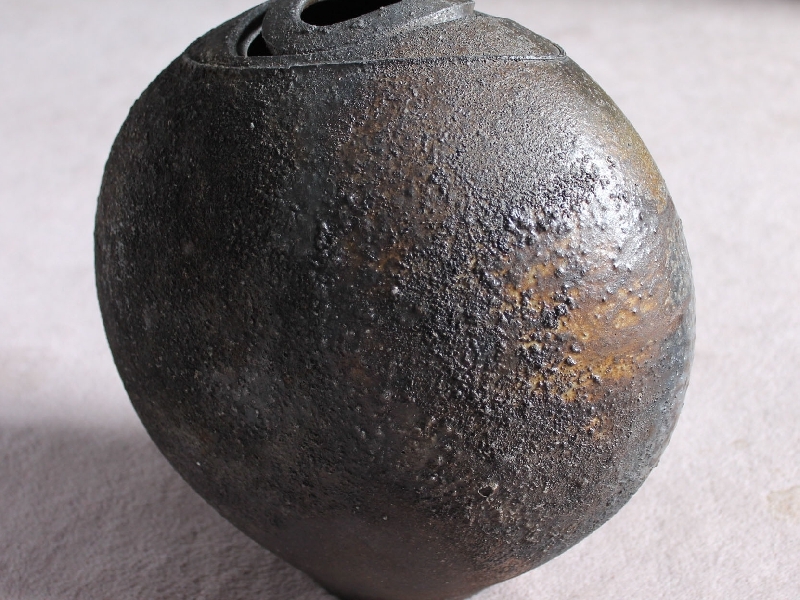 Miyao is only the third Bizen ceramic artist to be awarded a top award at this prestigious exhibition, the other two being Yamamoto Izuru and Isezaki Shin. 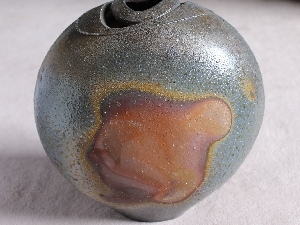 His forms are fresh and his firings are quite good as well. 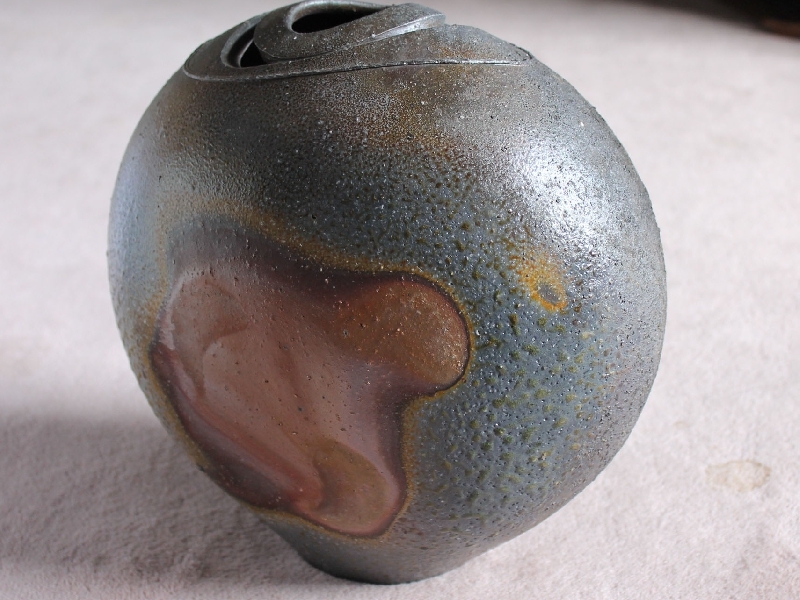 Here is a prime example, a richly-fired original form with a spiraling mouth, in perfect condition with a signed box, 26.6cm.tallx27cm.x18.2cm., signed on base.